Is Luke Skywalker the true chosen one? Yoda never thought so, an idea revealed in a. new book called Star Wars: From a Certain Point of View. And that idea makes sense. 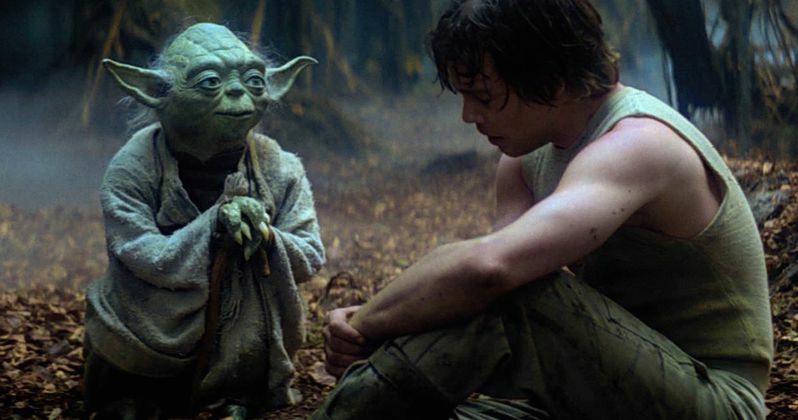 Ever since we were first introduced to Yoda in Empire Strikes Back, he never really seemed to care for Luke, and was always apprehensive about the young Jedi in training, complaining that he was too young, not ready, and anything else that would get Obi-Wan to calm down and back off. But the biggest reveal came midway through Empire when Yoda reveals to Kenobi that there 'is another'. And we learn that this other he speaks of is none other than Luke's own twin sister, Leia. Sure, Empire Strikes Back gave fans one of the biggest surprises in cinematic history when it divulged the true fact that Darth Vader was Luke Skywalker's real father. Return of the Jedi tried to one up that noise by confirming that Luke and Leia were also related, and that Anakin was Leia's father as well. This upcoming new Star Wars book reveals that Yoda always thought Leia was the more powerful force user in the Skywalker family. And that she was the true chosen one who would bring balance to the force. From a Certain Point of View, which is an iconic line spoken by Obi-Wan when opening up to Luke about who is father really was, fills in a ton of gaps and plot holes that fans have had over the years when it comes to the Star Wars galaxy and the stories contained within. One story is called 'There is Another', a direct nod to the line given by Yoda in Empire Strikes Back. This story fills in some pretty big plot holes when it comes to Yoda. We learn how force ghost Obi-Wan arrived on Dagobah to inform Yoda that he'd soon be training the 'Chosen One', whom Obi-Wan believed to be Luke. Yoda's first reaction is that he's excited to train 'her'. Yoda just assumes that Ben is talking about Leia. He's not. And that's why we get such a grumpy Yoda in Empire, an exiled Jedi master who just doesn't believe this whiney kid is the true chosen one to restore the Jedi and bring peace to the galaxy. The book goes onto offer a sort of weird connection to The Phantom Menace. We come to find out that Obi-Wan has been using the cloak of his fallen master Qui-Gon Jinn as a blanket after the Jedi was killed by Darth Maul. In the book, there is a moment where Yoda tells Ben that he, too, is finally ready to cross over to the other realm. But Obi-Wan prevents the tiny Jedi master from doing so, to keep him on Dagobah so that he can train Luke, another reason why Yoda is such a grump when we first encounter him. Star Wars From a Certain Point of View will arrive before The Last Jedi in theaters this December. And it sets up the idea that perhaps Leia really is the chosen one. Prior to meeting Luke and Han, Leia was very active in the Rebellion. And that's perhaps why Yoda connected to her presence more strongly. As opposed to the hidden away Luke, who was whining about power converters on the desolate planet Tattooine, contributing nothing, really, to the greater good of the galaxy at that time. Luke could be the false prophet, which would in turn equate to the anti-Christ, which sets up all kinds of possibilities in Star Wars 8. Yet, at that, being the Life of Brian doesn't mean your necessarily a bad guy. Luke never truly brings balance to the force by the time Return of the Jedi comes to a close. Though he does manage to help redeem his fallen father and restore Anakin Skywalker to his former self so that his force ghost can live on in the other realm. Heading into The Last Jedi, we know that Luke has exiled himself to Ahch-To, and that he believes the Jedi must end. Leia could still play an integral part in restoring true balance to the force. Perhaps in a way that Luke can't. Carrie Fisher was supposed to have the main role in Star Wars 9, so we know some of this story has had to change out of necessity. It will be interesting to learn what becomes of Leia in Star Wars 8 and how J.J. Abrams resolves that in Star Wars 9, since it will have to be approached in a whole new way now. From a certain point of view, as it were.